Our love for Streets of New York is no secret. Delicious pizza and pasta, what’s not to love? Every time we go in, we find something new to love. Now Streets of New York is running a promotion you won’t want to miss, Spaghetti Wednesday. For just $7 every Wednesday, diners can get a bowl of pasta (preferably spaghetti, but you can order their other pasta types) with marinara and meatballs. 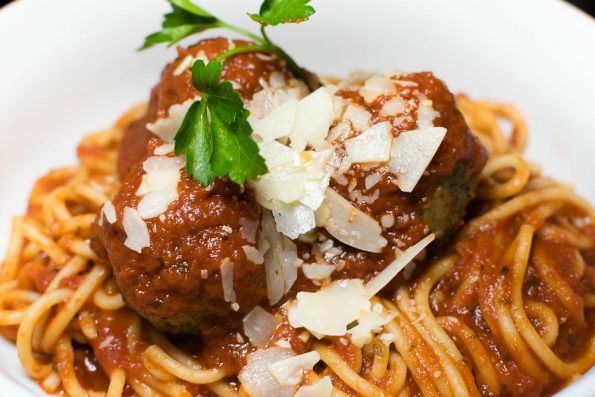 Where else can you get a delicious bowl of pasta with not one, not two, but THREE meatballs for $7? You can barely get a fast food meal for that! We are constantly impressed with the improvements Streets of New York has undergone. They have always had amazing pizza but it sort of felt like pasta was an after thought. Not anymore! The pasta easily stands up to the pizza and has become one of our favorite things to order. 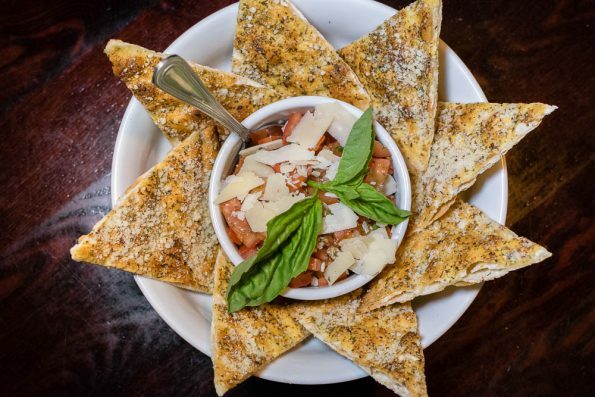 Bruschetta– Bruschetta is nothing new but at Streets of New York it isn’t served on bread. In fact, it is served with their pizza bread which is like a thin pizza crust. Also the topping is served in a bowl allowing for as little or as much as you want without your bread getting soggy! 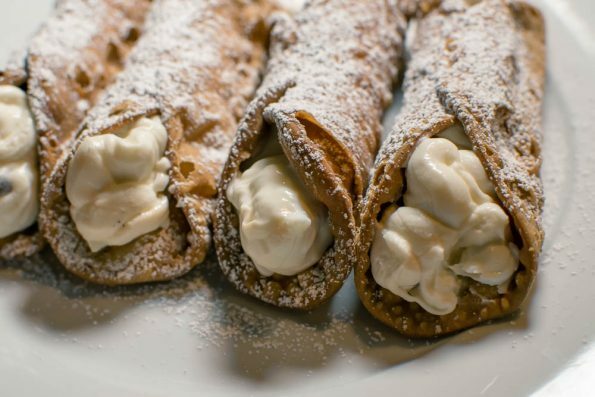 Hand-Filled Cannolis– A new dessert at Streets of New York is their hand-filled cannolis. You can order 1 or a serving of 4. They are the perfect cannoli too, crunchy and flaky shell with a delicious chocolate chip filling. We could have eaten our weight in these little guys! We haven’t had confirmation on how long the awesome Spaghetti Wednesday deal will last. So head over to your nearest Streets of New York now and get it while you can!